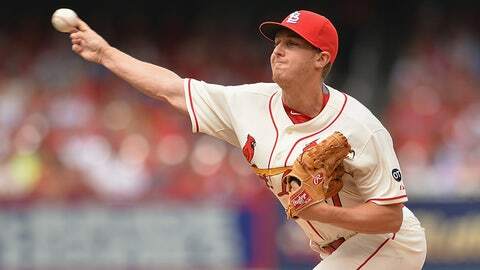 The Cardinals recently profiled reliever Seth Maness, who could probably be a three-sport star. Seth Maness is a vital part of the St. Louis Cardinals’ bullpen. Often called upon to come in and induce a double-play ball to escape a jam, he’s one of Mike Matheny’s important middle-inning options from the right side. However, he’s more than just a reliever. Maness, 26, is the subject of a new piece in the Cardinals’ official magazine detailing his off-the-diamond pursuits. Specifically, Maness is also pretty good at golf and basketball, mostly due to his competitive drive and focus at just about anything he attempts. With the Cards getting ready to do battle with with the Chicago Cubs or Pittsburgh Pirates in the NLDS, look for Maness to be in the middle of some more crucial moments in high-stakes innings over the next week or so.